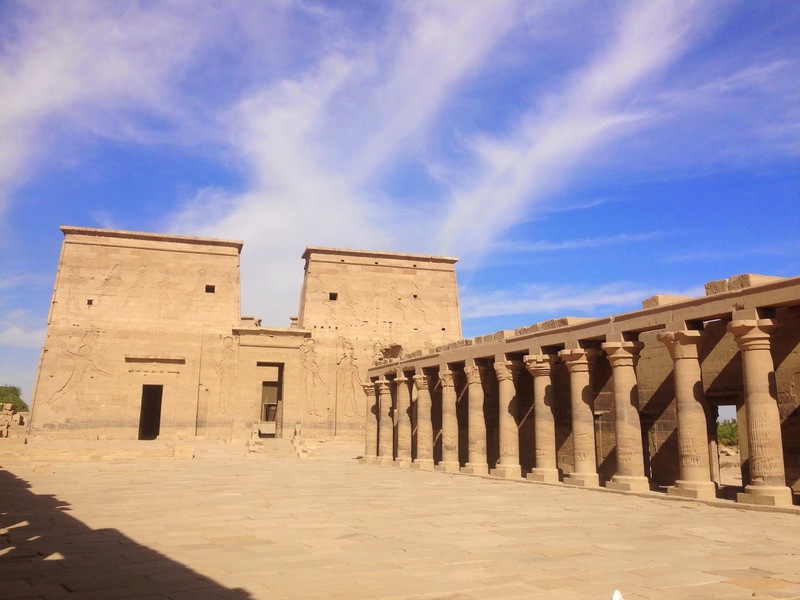 There are so many spectacular temples in Egypt but there's something particularly atmospheric about Philae. In part it is the situation of the temple which seems to float on water, but it's also its history of relocation - in the 1960's the flooded temple was moved to higher ground on an island nearby. 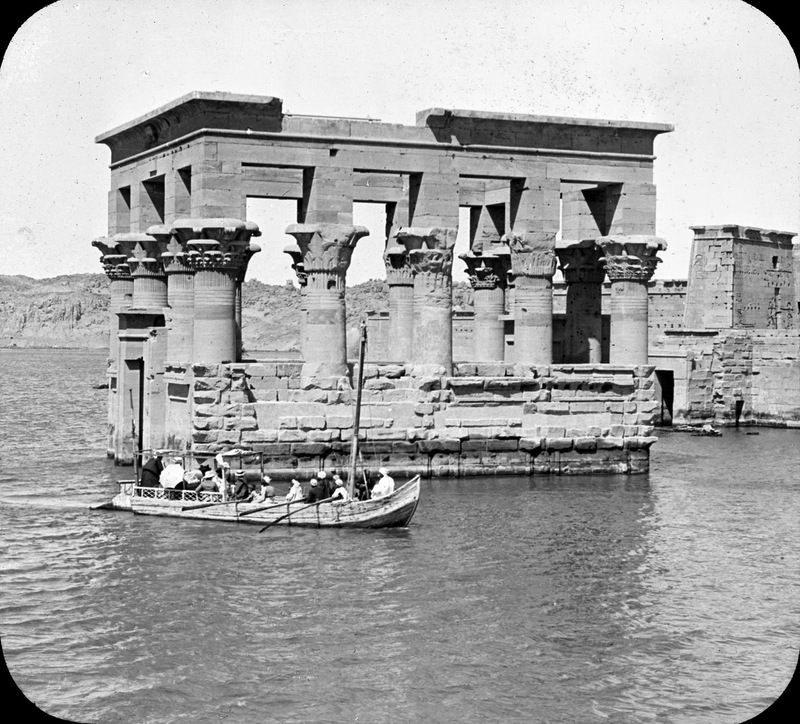 When we thing of the dam project in Aswan, we think of the post-war High Dam, but the British built the first Aswan Dam (or the Aswan Low Dam) at the turn of the Twentieth Century. 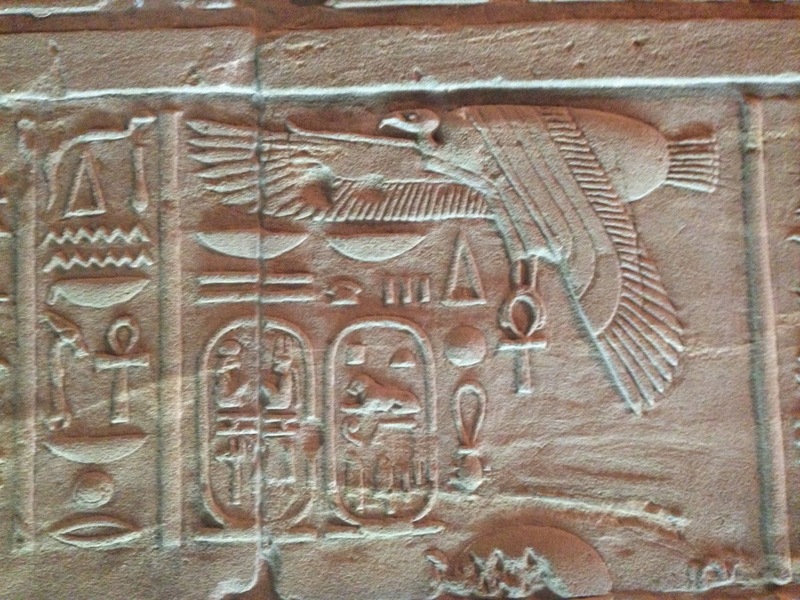 First, there's the colonial Low Dam, with the the reservoir behind it, where you find Philae. 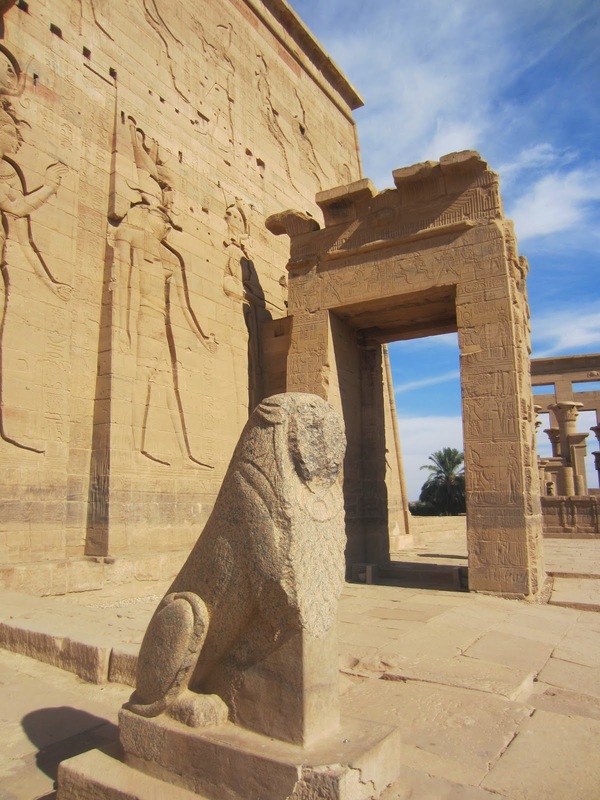 Then there is the second dam known as the "High Dam" followed by the flooded area of Lake Nasser, from which thousands of Nubian people (as well as Abu Simbel, Kalabsha and many other monuments) were displaced. 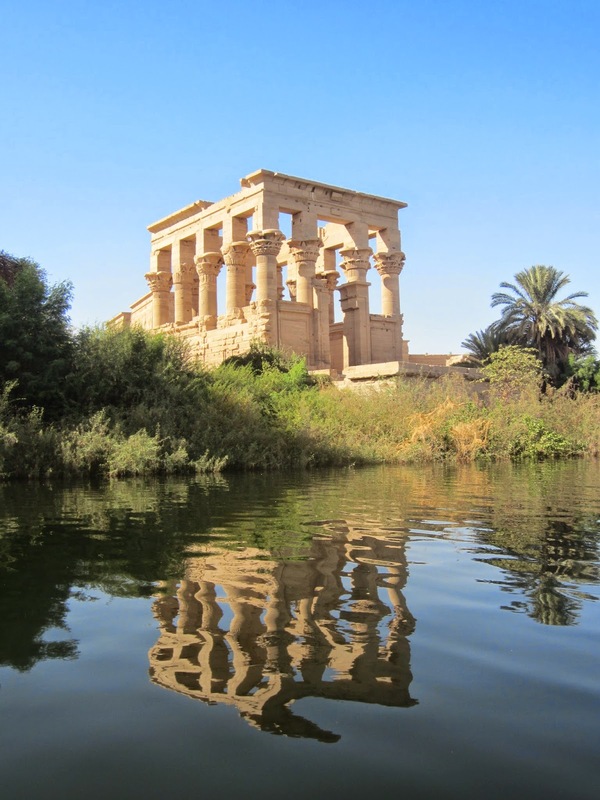 Part of the romance of Philae is that after the building of the first dam the temple was submerged by the rising waters of the reservoir and tourists came to see the buildings by boat. The photo above is from the Brooklyn Museum's collection of lantern slides. You still arrive by boat, but since the dramatic relocation of the temple you can now walk around all of the structures. 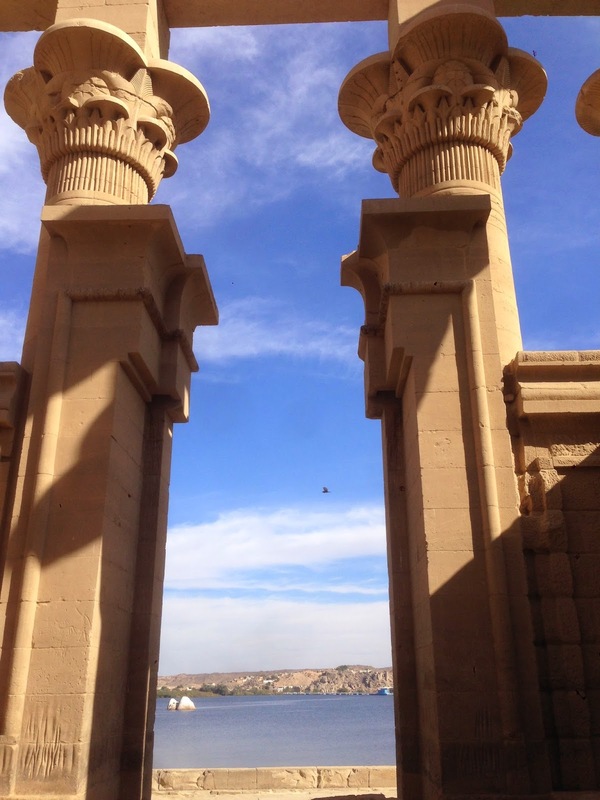 Small boats are used to ferry tourists to and from the island as you can see above..
What a beautiful temple complex this is, a religious site from the Twenty-Fifth Dynasty, Philae became significant in the Greco-Roman period. 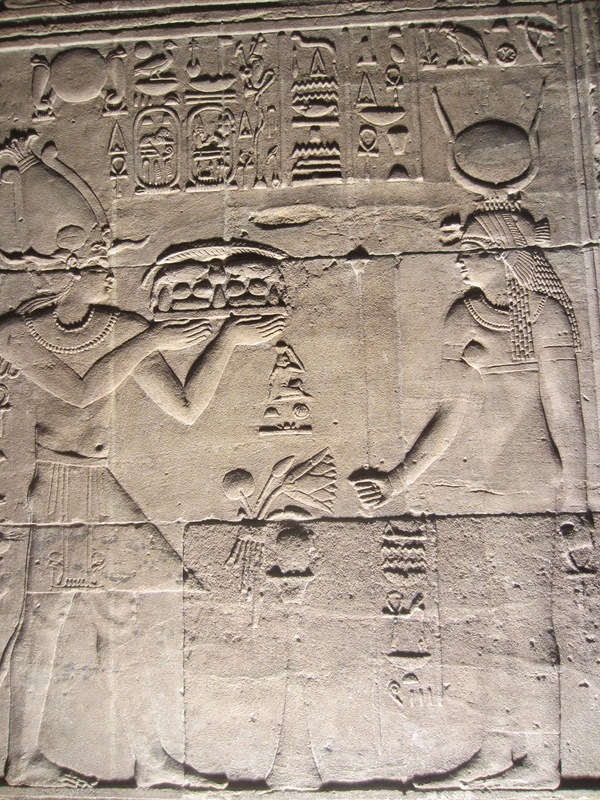 The principle deity worshipped here was Isis, though there were temples for other gods including Hathor. 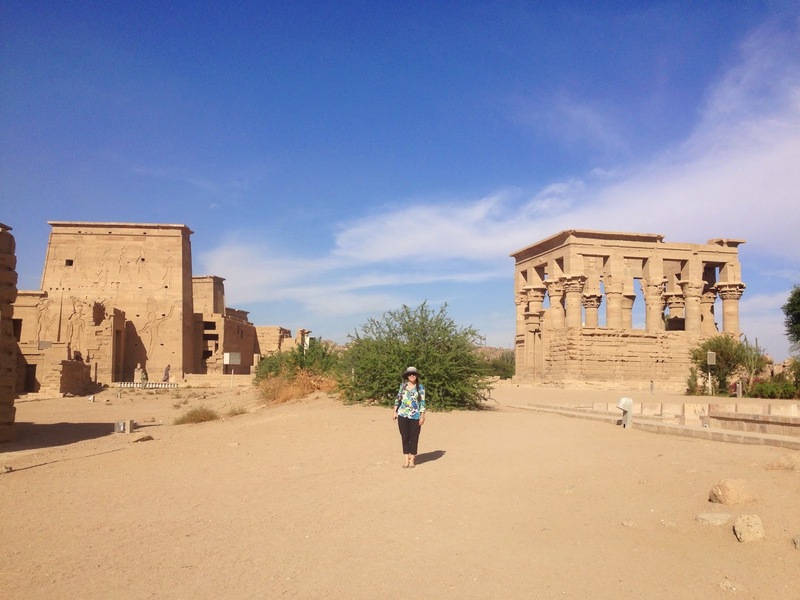 This was the last holdout of the old ways and continued to operate as a temple to Isis into the 6th century A.D., when it was closed under the Emperor Justinian. 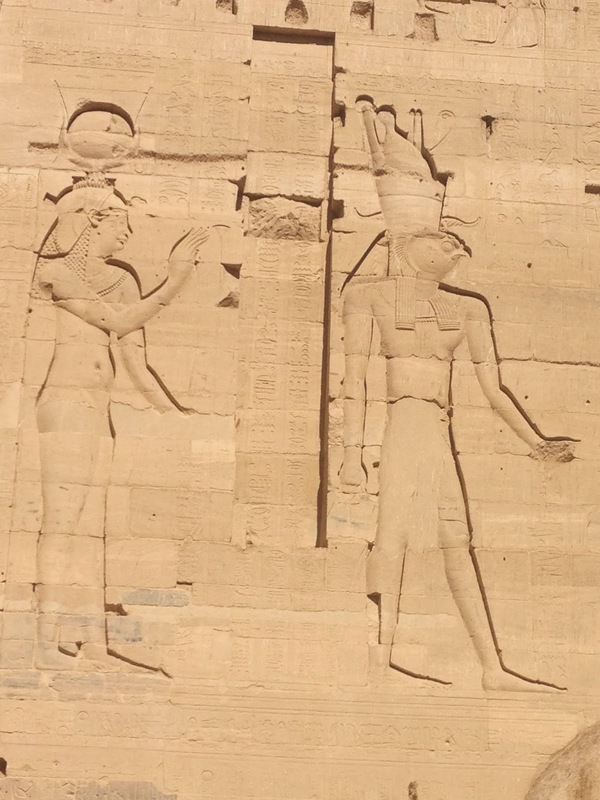 The temple was also used for Christian worship. I love this majestic lion guarding the first pylon. 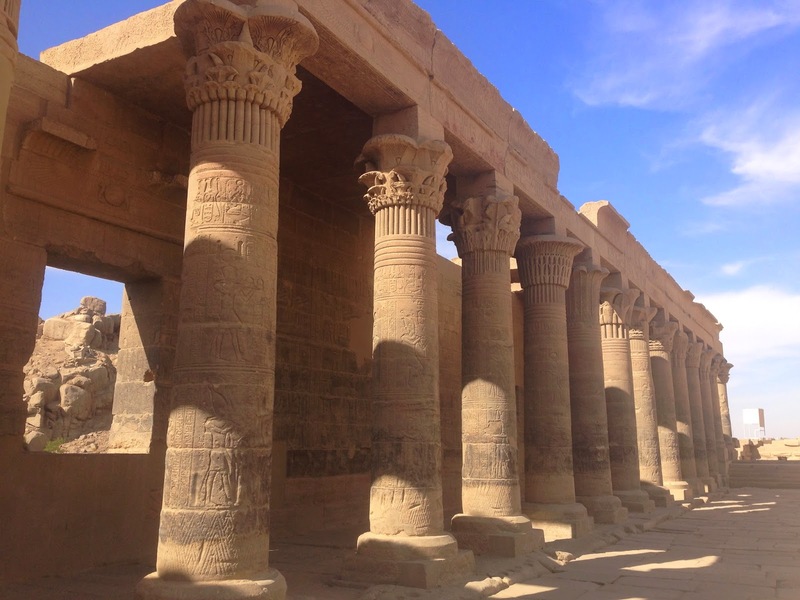 While we were in Nubia (the area encompassing southern Egypt and northern Sudan) I was interested to learn about the Nubian Twenty-Fifth dynasty which ruled Egypt between 760 and 656 BC. 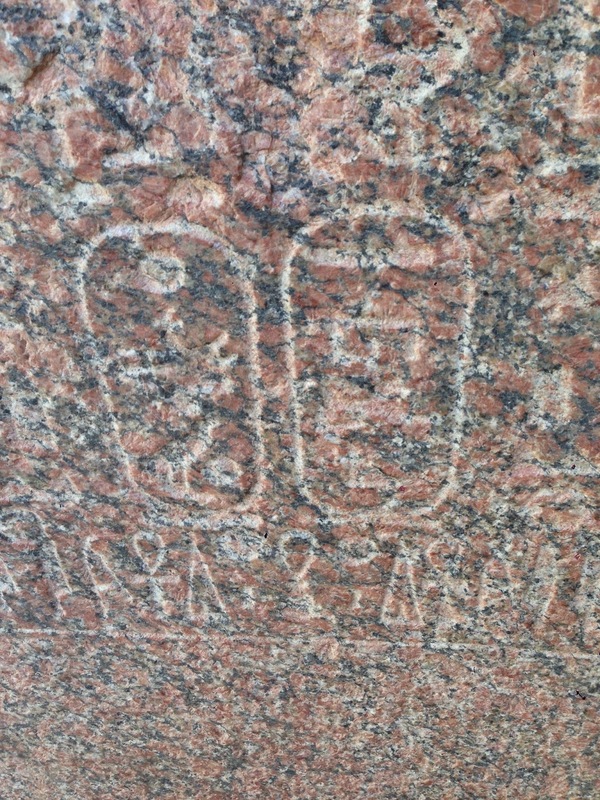 I was particularly interested to see the cartouche of The Nubian King, Taharqa carved into this pink Aswan granite at Philae. 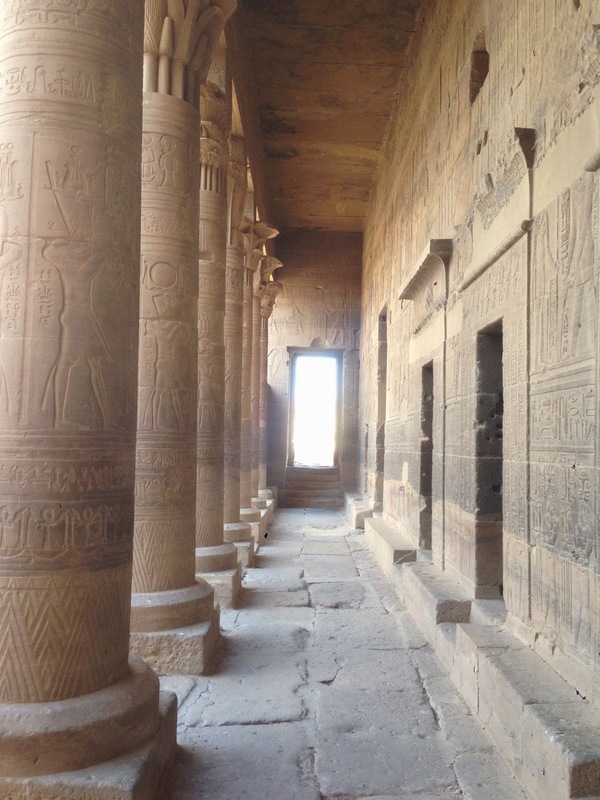 As you can see below, it seems every surface is beautifully carved, including the pillars, walls and pylons. This side view provides a good vantage to see the two enormous pylons. The view from the water shows the other side of the building. 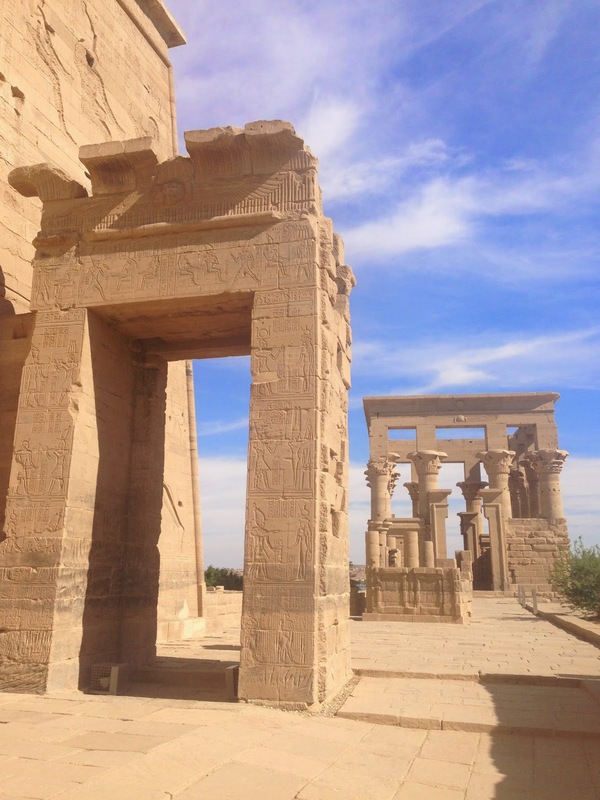 The so-called "Kiosk of Trajan" (below) is the most famous of Philae's monuments. The capitals are particularly beautifully carved. This is the same building visited by boat in the vintage picture above. Tip: We arrived just as everyone was departing and had the site almost to ourselves. When I asked Abdul whether it is very busy during a regular high season he said yes, but that the answer is to visit at lunchtime when the group tours are eating! 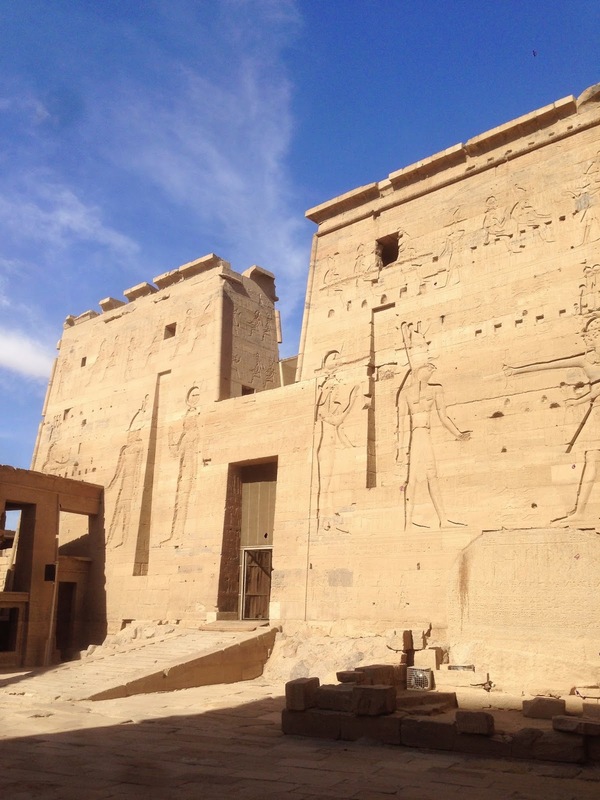 Judging from the vendors at the ticket office and the parking lot, Philae looks like the most visited site in Aswan. Once again I think the charm of our trip was the absence of other tourists. It was such a privilege to enjoy the temple in a calm, quiet atmosphere. Here is the view as we left the island.